Un total de ocho empresas andaluzas del sector aeronáutico han participado en la XII Feria Aeromart Toulouse 2018 con el apoyo de la Consejería de Conocimiento, Investigación y Universidad, a través de Extenda-Agencia Andaluza de Promoción Exterior. La cita, considerada uno de los principales eventos mundiales del sector aeroespacial, se ha celebrado en Toulouse (Francia) del 4 al 6 de diciembre. Las firmas andaluzas han presentado en esta feria sus capacidades ante los responsables de compra de las principales empresas del sector aeroespacial, que se reúnen bianualmente en Aeromart para aprovechar las oportunidades de negocio que genera este evento de primera línea de la industria aeronáutica. En esta edición han participado 1.300 empresas de 45 países, las cuales han mantenido más de 15.000 reuniones bilaterales. Además de la presencia de todas las regiones francesas, en la cita han estado representadas las industrias aeronáuticas de Estados Unidos, Italia, Alemania, Reino Unido o Turquía, Japón, Brasil o Portugal. De este modo, además de presentar su oferta a través del stand correspondiente, las empresas de la comunidad han desarrollado una agenda de reuniones bilaterales con agentes del sector de su interés. Junto a ello, los participantes han tenido la oportunidad de asistir a los talleres y conferencias programados en el evento, que este año se han centrado en las infraestructuras espaciales y los modelos de subcontratación. El aeronáutico es un sector estratégico para la economía de Andalucía, que lideró las exportaciones españolas del sector en 2017 con 3.293 millones de euros, el 57% de las ventas nacionales, una cifra que refleja que las empresas andaluzas han duplicado su facturación internacional en sólo tres años, con un alza del 112%. Francia es el segundo mercado de la industria aeronáutica andaluza, con 739 millones de euros en ventas en 2017, el 22,4% del total. La delegación andaluza presente en Aeromart con el apoyo de Extenda ha estado integrada por ocho empresas, de las cuales seis proceden de Sevilla (Grabysur, Galvatec, Aerotecnic Metallic, Bosado, Sofitec, Casemedia Embalajes); y dos de Cádiz (M&M y Airtificial). Según datos de Extenda, Andalucía lideró las exportaciones españolas del sector aeronáutico en 2017 con 3.293 millones de euros, el 57% de las ventas nacionales, una cifra que supone duplicar el dato de 2015 y multiplicar por siete la factura exportadora de la última década, cuando ha sumado 2.800 millones de euros más en exportaciones. Con estos datos, Andalucía ha pasado en este periodo de ser la segunda a la primera comunidad autónoma de España en exportaciones aeronáuticas, adelantando a Madrid, al pasar de suponer del 20,7% de las ventas nacionales a concentrar el 57%. Asimismo, el sector ha triplicado su peso en el global de las exportaciones andaluzas hasta representar el 10,7% en 2017, aportando diversificación al comercio internacional de la comunidad. Francia fue el segundo mercado del aeronáutico andaluz en 2017, al que facturó 739 millones de euros, el 22,4% del total, lo que significa que Andalucía ha multiplicado por ocho sus exportaciones al mercado galo en la última década. Sevilla y Cádiz concentran la totalidad de las ventas, que encabeza Sevilla con 443 millones vendidos en 2017, el 60% del total; mientras que Cádiz suma 296 millones, el 40%. Extenda apoya al sector aeronáutico andaluz de manera específica a través de diversas acciones de promoción internacional, diseñadas para atender las necesidades de las empresas tanto de manera individual como agrupada. En lo que ha transcurrido de 2018, Extenda ha atendido a casi un centenar de empresas aeronáuticas de Andalucía a través de 134 acciones, que, en conjunto, han sumado más de 300 participaciones. Entre las acciones de Extenda en las que han participado empresas andaluzas aeronáuticas destacan ADM Sevilla, que contó con más de una treintena de firmas del sector; el Encuentro empresarial Aerospace Summit Bruselas o IMEX Andalucía, con presencia de 23 empresas aeronáuticas. Junto a ello, la industria andaluza se ha promocionado en ferias como Farnborough o ILA Berlín Air Show, así como en el mercado americano a través de la misión comercial directa a Estados Unidos organizada por Extenda, a la que se sumaron una quincena de firmas. • The company updates its corporate image on the 30th anniversary with the aim of communicating its values in a close and honest way. • The human capital formed by expert engineers and the technical experience achieved by CT during the years underlie its whole activity, outlined in its new "Engineering Driven People" tagline. Madrid, December 3rd of 2018. CT, the leading engineering company in technological innovation throughout the entire product lifecycle, has updated its corporate image on the occasion of its 30 years of history. CT redefines its positioning and brings together all its branch offices under the large umbrella of the new global brand. A thorough process of internal and external analysis based on the customers, suppliers and employees’ opinions has revealed the two fundamental pillars supporting the company’s activity: human capital and the technical part provided by experienced engineers. Thus, CT new image and "Engineering Driven People" claim are the result of this study, which outlines and define the values that the company has championed for 30 years. CT’s 30th anniversary brings considerable changes for the company, which reaffirms its statement and values in order to achieve a differentiating position in the market. CT faces a new stage of growth, striving for an international reference position in innovative solutions that help its customers to be more competitive. CT, a company of Spanish origin with over 1,600 professionals in more than 20 international offices, places people at the heart of its activity. In this way, it reaffirms its commitment to attract and retain talent by providing personalized career plans and training programs. As evidence, CT ranked for the third year in a row, the first 50 Best Companies to Work for in Spain and as the Best Engineering Services Company in the last two years. provided engineering services in relevant projects such as Medina-La Meca High Speed Railway (carried out by its Automotive Engineering division) or for Sagrada Familia,Monument (carried out by the Architecture division). Additional recognition includes CT’s award granted by the Spanish Official Chamber of Commerce in France (BECC) for its local activity in economic, social, R&D and sustainable development terms. Jesús Prieto, President&CEO of CT says: "We face this new stage with the same entrepreneurial spirit I had when I founded the company in 1988; with people-oriented mission, the struggle for commitments accomplishment, the service vocation and the aim of offering the most advanced technological solutions to our clients, in order to help them to be more competitive. All these aspects, along with the expertise achieved over 30 years, shape CT’s today essence: a company formed by engineers passionate about the challenges of engineering ". from product design engineering, manufacturing engineering to post-sales support engineering. 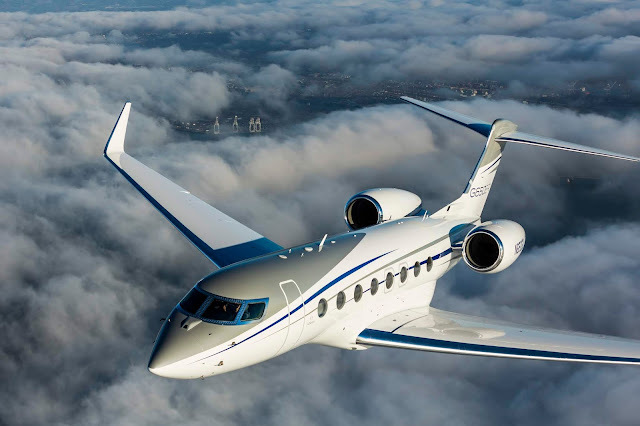 Automotive Engineering division in the Medina-Mecca AVE.
SAVANNAH, Georgia, December 10, 2018 — Gulfstream Aerospace Corp. today announced that the ultralong-range Gulfstream G650ER has completed a record-breaking flight en route to the Middle East and North Africa Business Aviation Association (MEBAA) Show in Dubai. The aircraft bested the previous world speed record by one hour and 48 minutes. GREENSBORO, N.C. - December 10, 2018 - Honda Aircraft Company announced today that the HondaJet Elite has received type certification from the Japan Civil Aviation Bureau (JCAB) of the Ministry of Land, Infrastructure, Transport and Tourism (MLIT). Obtaining type certification from JCAB demonstrates that the HondaJet Elite complies with all of the exacting standards set by the organization including those for strength, performance, safety, function and reliability. In June 2018, Honda Aircraft Company began sales of the HondaJet Elite through HondaJet Japan, a local HondaJet dealer in the region. Since this expansion, Honda Aircraft has taken orders in Japan for more than 10 aircraft to date. Deliveries of the aircraft are scheduled to begin before the end of 2018. "I would like to express my deepest gratitude to the members of the Civil Aviation Bureau of the Japan Ministry of Land, Infrastructure, Transport and Tourism for their great understanding and cooperation with Honda. Creating mobility products that enable people to enjoy the freedom of mobility in the sky has been Honda's dream since its founding. Today, we are delighted that our HondaJet received type certification in Japan, the home country of Honda. This is one example of embodying our passion to serve people worldwide with the "joy of expanding their life's potential." Honda will continue taking on challenges to expand life’s potential for our customers." "We are proud to have obtained type certification in Japan, the home of Honda, and we are pleased our efforts in the development of advanced technologies are being recognized. The newly certified HondaJet Elite is our latest aircraft and I am confident it will provide efficient and comfortable mobility to our customers throughout Japan. Through our sales of the HondaJet Elite, we will strive to create a society where business jets are more easily accessible to everyone in Japan." The fastest, furthest and highest-flying plane in its class*, the HondaJet Elite incorporates Honda Aircraft's many technological innovations, including the unique Over-The-Wing Engine Mount (OTWEM) configuration, Natural Laminar Flow (NLF) nose and wing and composite fuselage. These advancements contribute to the aircraft's superior performance, unparalleled efficiency and maximized fuselage space, making the aircraft's cabin the largest in its class. The HondaJet Elite is also significantly more fuel efficient than all other similarly sized twin-engine business jets. Certified for single pilot operation, the HondaJet Elite continues to live up to the company's reputation for superior performance, efficiency, quality and value. In addition to its JCAB certification, the HondaJet Elite is also certified by the United States (Federal Aviation Administration), Europe (European Aviation Safety Agency) and India (Directorate General of Civil Aviation). EAST HARTFORD, Conn., Dec. 10, 2018 /PRNewswire/ -- Pratt & Whitney, a division of United Technologies Corp. (NYSE: UTX), today announced its official inauguration of the Pratt & Whitney Puerto Rico Aguadilla Engineering Center in Aguadilla, Puerto Rico. The celebration also included a $500,000 donation by Pratt & Whitney to the University of Puerto Rico at Mayaguez. Puerto Rico Governor Ricardo Rosselló and representatives from the Puerto Rico Industrial Development Company (PRIDCO) attended the ceremony alongside several Pratt & Whitney and UTC executives. The renovated $14M facility, made possible through a collaboration with PRIDCO, is 104,000 square feet and houses more than 800 Pratt & Whitney Puerto Rico employees with the capacity for 400 more. The facility is on track for LEED Silver certification with multiple features designed with sustainability in mind. It also has an open-concept floorplan to support communication and collaboration. Pratt & Whitney Puerto Rico, Inc., formerly Infotech Aerospace Services, Inc. (IAS), is an aerospace engineering center that designs, evaluates and supports Pratt & Whitney's game-changing commercial and military gas turbine engines, including the Geared Turbofan engine. Since entering into service in early 2016, the GTF engine has demonstrated its promised ability to reduce fuel burn by 16 percent, to reduce NOx emissions by 50 percent to the regulatory standard and to lower the noise footprint by 75 percent. "We brought IAS into the Pratt & Whitney family because we recognized the tremendous potential the business offered us — in particular, the talented engineers and employees," said Geoff Hunt, senior vice president of Engineering, Pratt & Whitney. "I want to thank PRIDCO for their support in making this beautifully renovated facility possible. This is something we can all come together to celebrate, especially in light of the devastation of Hurricane Maria." Since Hurricane Maria in September 2017, Pratt & Whitney employees around the world have been committed to relief efforts through a combination of financial contributions, donation events and volunteerism. Local employees have helped more than 600 families in eight towns by distributing food and personal items and by volunteering to repair damaged homes. Pratt & Whitney Puerto Rico is committed to continuing to support these local communities in the ongoing recovery efforts. As part of its commitment to Puerto Rico and its people, Pratt & Whitney also presented a donation of $500,000 to the University of Puerto Rico at Mayaguez to fund an aerospace teaching laboratory designed to train the next generation of mechanical and electrical engineers in the propulsion design and development. "This donation further strengthens our relationship with the University of Puerto Rico at Mayaguez," said John Delametter, general manager, Pratt & Whitney Puerto Rico. "Many of our best engineers come from this university, and this new laboratory will help future engineers develop the skills necessary for them to be successful in the aerospace industry in Puerto Rico and beyond." Dublin, Ireland-headquartered aircraft lessor Avolon has firmed up an order for 75 A320neos and 25 A321neos. The agreement is the single largest order for Airbus aircraft ever placed by Avolon. The agreement takes Avolon’s cumulative orders with Airbus to 284 aircraft (240 single-aisles and 44 widebody aircraft) including the A321neo, the A330neo and the A350 XWB. The new order for 100 aircraft, together with the 22 single-aisles and four wide-bodies already delivered, increases Avolon’s Airbus backlog to 258, the largest of any lessor. Note: Avolon figures include Hong Kong Aviation Capital and ex “CIT Leasing” orders. SEATTLE, Dec. 5, 2018 /PRNewswire/ -- Boeing [NYSE:BA] and ELG Carbon Fibre today announced a partnership to recycle excess aerospace-grade composite material, which will be used by other companies to make products such as electronic accessories and automotive equipment. 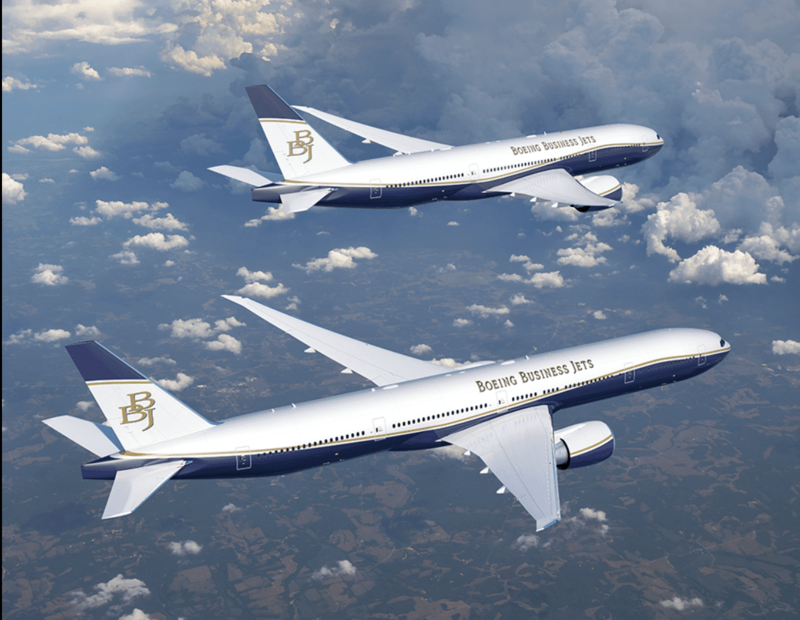 DUBAI, United Arab Emirates, Dec. 10, 2018 /PRNewswire/ -- Boeing Business Jets (NYSE: BA) today announced it is launching the BBJ 777X, a new Boeing Business Jet model that can fly more than half way around the world without stopping, farther than any business jet ever built. "Our most exclusive customers want to travel with the best space and comfort and fly directly to their destination. 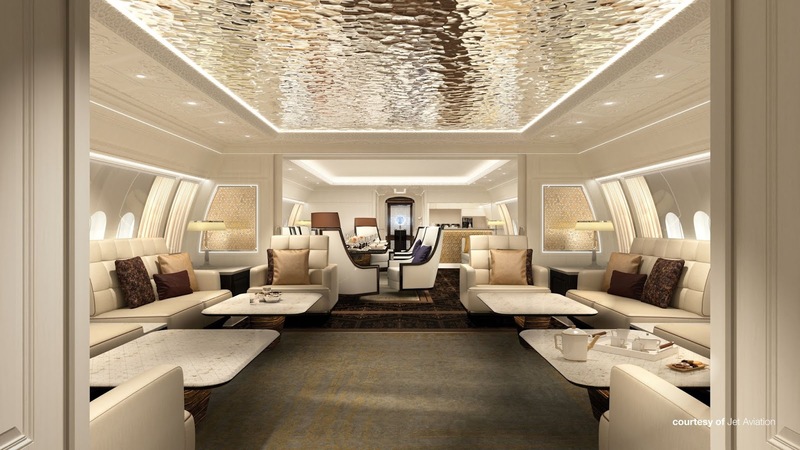 The new BBJ 777X will be able to do this like no other airplane before it, redefining ultra-long range VIP travel," said Greg Laxton, head of Boeing Business Jets, at the bi-annual Middle East Business Aviation Association Show (MEBAA). Madrid, 4 de diciembre de 2018 - Lockheed Martin (NYSE: LMT) y Airbus han firmado un memorando de acuerdo con el objeto de explorar conjuntamente oportunidades para satisfacer la creciente demanda de reabastecimiento aéreo de los clientes de defensa en EE. UU. Ambas compañías tienen la intención de ofrecer servicios de repostaje aéreo para abordar posibles deficiencias de capacidad identificadas y para satisfacer las necesidades de la nueva generación de aviones cisterna capaces de operar en los difíciles entornos del futuro espacio de batalla. "Para nuestros clientes es esencial disponer de un repostaje aéreo fiable y modernizado para poder mantener su alcance mundial y su ventaja estratégica", ha afirmado Marillyn Hewson, presidenta y CEO de Lockheed Martin. "Al combinar la innovación y la experiencia de Airbus y Lockheed Martin, estaremos bien posicionados para proporcionar a la Fuerza Aérea de Estados Unidos y a sus aliados en todo el mundo las soluciones avanzadas de reabastecimiento de combustible que necesitan para hacer frente a los retos de seguridad del siglo XXI". "La Fuerza Aérea de EE. UU. merece contar con la más avanzada tecnología de reabastecimiento aéreo de combustible que exista en el mundo y la que preste el mejor rendimiento. Justamente esto es lo que ofrecerá este gran equipo industrial formado por Lockheed Martin y Airbus", ha manifestado Tom Enders, CEO de Airbus. Las compañías están adoptando un enfoque cooperativo centrado en el avión de transporte y reabastecimiento multimisión A330 MRTT (Multi Role Tanker Transport), con el fin de examinar un amplio espectro de oportunidades. Estas podrían abarcar desde el apoyo en caso de necesidades críticas de abastecimiento aéreo de combustible a corto plazo, contemplando una estructura de pago por servicio, hasta el diseño del avión cisterna del futuro. Fernando Alonso, director de Military Aircraft en Airbus Defence and Space, ha declarado: "Una docena de naciones de todo el mundo han seleccionado el A330 MRTT. Se ha probado ampliamente en operaciones reales y ha recibido múltiples elogios por parte de las principales fuerzas aéreas." "Estamos convencidos de que, uniendo la experiencia de Airbus en aviones cisterna y la amplia presencia de Lockheed Martin en EE. UU., podremos proporcionar soluciones muy eficaces a las necesidades actuales y futuras de reabastecimiento aéreo militar de EE.UU.". Lockheed Martin cuenta con un amplio historial de éxitos en integración de sistemas, fabricación y operaciones de MRO con grandes aeronaves de transporte aéreo y aviones cisterna. Junto con la experiencia de Airbus, las dos compañías dispondrán de un sólido equipo para hacer frente a las futuras necesidades de reabastecimiento aéreo de combustible. "Airbus es un líder de la industria en reabastecimiento aéreo de combustible y Lockheed Martin es una compañía reconocida por sus tecnologías y capacidades de defensa de vanguardia", manifestó Michele Evans, vicepresidenta ejecutiva de Lockheed Martin Aeronautics. "Se trata de una gran oportunidad para que nuestras dos compañías combinen sus conocimientos técnicos y cooperen desarrollando soluciones de primer nivel mundial para satisfacer necesidades críticas en todo el mundo". Madrid, 4 December 2018 – Lockheed Martin (NYSE: LMT) and Airbus have signed an agreement to jointly explore opportunities to meet the growing demand for aerial refuelling for US defence customers. 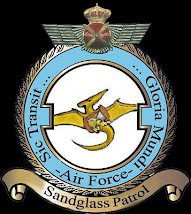 The companies will seek to provide aerial-refuelling services to address any identified capacity shortfall and to meet requirements for the next generation of tankers capable of operating in the challenging environments of the future battlespace. "Reliable and modernized aerial refuelling is an essential capability for our customers to maintain their global reach and strategic advantage," said Lockheed Martin Chairman, President and CEO Marillyn Hewson. "By combining the innovation and expertise of Airbus and Lockheed Martin, we will be well positioned to provide the United States Air Force and allies around the world with the advanced refuelling solutions needed to meet 21st century security challenges." "The US Air Force deserves the best aerial-refuelling technology and performance available under the sun and this great industry team, Lockheed Martin and Airbus, will offer exactly that," said Tom Enders, Airbus CEO. The companies are taking a cooperative approach, with the Airbus A330 Multi Role Tanker Transport (A330 MRTT) at its heart, to examine a broad spectrum of opportunities. These may range from ways to support critical near-term air-refuelling needs, such as a fee-for-service structure to conceptualizing the tanker of the future. Airbus Defence and Space Head of Military Aircraft Fernando Alonso said: "The A330 MRTT has been selected by a dozen nations around the world. It is extensively proven in live operations and has been repeatedly praised by major air forces. We are convinced that the combination of Airbus' tanker expertise with Lockheed Martin's extensive US presence, has the potential to provide highly effective solutions for current and future US military aerial-refuelling requirements." Lockheed Martin has a long and successful history of systems integration, manufacturing and MRO operations with large airlift and tanker aircraft. When combined with Airbus' expertise, the two companies will field a strong team to address future air refuelling needs. "Airbus is an industry leader in the aerial refuelling area, and Lockheed Martin is known for cutting-edge defensive technologies and capabilities," said Michele Evans, Executive Vice President, Lockheed Martin Aeronautics. "This is a great opportunity for our two companies to combine our expertise – cooperating to develop world-class solutions for critical needs around the world." The post Right hand engine cowl of a Frontier Airlines Airbus A320 got detached after take-off from Las Vegas Airport appeared first on Aviation24.be. Israeli-Australian company Electriq Global's new technology stabilizes hydrogen in a recyclable liquid that can be pumped and transported just like gasoline. That's huge news, because it enables long-range electric driving with fast refueling – and it plugs right into the existing fuel logistics model. Friday, November 30, 2018 — Together with Lufthansa, Brussels Airlines invests in the replacement of seven of its ten A330 long-haul aircraft. Already one aircraft left the airline's fleet. It is the most substantial investment project in the 16-year long history of Brussels Airlines and the first time ever that the airline operates long-haul aircraft that are owned and not leased. With the new long-haul aircraft, Brussels Airlines will be able to offer its customers even more comfort, with quieter, more efficient and environmentally friendlier planes. Besides new aircraft, the airline is also investing in an entirely new cabin interior for all three travel classes, providing guests an even higher on-board comfort and a best-in-class travel experience on all intercontinental flights to Africa and the North Atlantic. After a comprehensive study where Brussels Airlines and Lufthansa looked at the current and future intercontinental network of the Brussels based airline, as well as at its capacity need for both passengers and cargo and the available aircraft on the market, it was decided last year to go for A330-300 CEO series. From an economic and operational point of view, this aircraft type is the best fit for Brussels Airlines as it brings many benefits such as a significantly higher range than its current Airbus A330 fleet and a higher maximum take-off weight offering more freight capacity. While Brussels Airlines is currently flying with different engine types, the 'CEO' aircraft will all be equipped with Rolls Royce Trent 700 engines. This engine type that consumes less fuel and emits less noise and CO2, is already in use at several other airlines of the Lufthansa Group. Also for the Brussels Airlines Maintenance & Engineering Department, this harmonization and standardization is of an added value as it significantly reduces the complexity. The replacement of seven of its ten A330 aircraft is the most substantial investment made in the 16-year long history of Brussels Airlines. In addition, it's the first time ever that the airline operates its long-haul flights with aircraft that are owned by the Lufthansa Group and not leased. The very first A330 with tail number OO-SFN successfully left the Brussels Airlines fleet last November 13th. In December, the phase out of OO-SFM is planned, followed by OO-SFO, OO-SFY, OO-SFV, OO-SFW and OO-SFU in the course of 2019 and 2020. The first two new aircraft OO-SFC and OO-SFB have started their operations in June. The refleet program will gradually take place in the months to come and will be finalized by the beginning of 2020. El Ministerio de Defensa y el Ejército del Aire español han recibido hoy su cuarto helicóptero H215 en las instalaciones de Airbus Helicopters en Albacete. El nuevo helicóptero será destinado al 802 Escuadrón de Fuerzas Aéreas/RCC Canarias del Ejército del Aire, con base en Gando (Gran Canaria) y se dedicará a misiones de búsqueda y rescate junto con los otros tres helicópteros H215 entregados desde 2016. Esta adquisición ha sido tramitada por la Dirección General de Armamento y Material del Ministerio de Defensa a través de la Agencia de Adquisiciones de la OTAN, la NSPA (Nato Support and Procurement Agency). 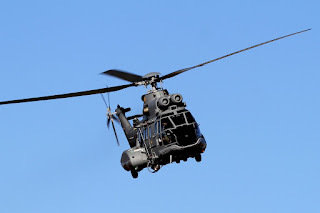 Perteneciente a la probada familia Super Puma, el nuevo H215 es un helicóptero bimotor robusto y rentable de categoría pesada que cumple con los más exigentes requerimientos de seguridad gracias a los equipos embarcados de última tecnología. El H215 del Ejército del Aire dispone de depósitos de combustible adicionales para un mayor alcance - de hasta 560 km- un sistema de flotabilidad de emergencia, y grúa de rescate, entre otros equipos. Destacan las pantallas multifunción digitalizadas compatibles con gafas de visión nocturna y la inclusión de un avanzado sistema de piloto automático de 4 ejes que ofrece una gran estabilidad en condiciones operacionales adversas. "La satisfacción del cliente es muy importante para Airbus y es un honor entregar hoy el 4º H215 al Ejército del Aire, para llevar a cabo misiones tan exigentes como el rescate en alta mar" declaró Francisco Vergé, Consejero Delegado de Airbus Helicopters en España. 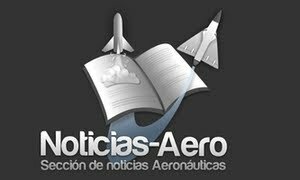 "Agradezco al Ejército del Aire su confianza renovada en Airbus y les reitero nuestro compromiso para garantizar una disponibilidad de los helicópteros a la altura de la importancia de sus misiones"
Germany, France and Spain have completed separate studies on the next generation fighter. Spain has said it is considering joining the Franco-German program, but has also had discussions with a rival project launched by Britain in July.